News > City Cars Are Gaining Popularity! City cars are gaining popularity. For years there has been the stigma of city cars being underpowered and unsafe, but the feeling has changed. Since city cars have become more technology and safety savvy their popularity has increased worldwide according to global sales data for the first quarter of 2018. There are three main categories that city cars are doing well in namely; cost of ownership, smart technology and fun elements. Cost: The cost of city cars including fuel, insurance, repairs, maintenance and other variable costs are lower than the bigger cars. Compact hatchbacks do well in this regard because everything from A – Z is on average cheaper than medium and bigger vehicles. Fuel efficiency for city cars is also a big plus. The brand-new Nissan Micra, a revolutionary hatchback, has an impressive fuel consumption of 5.1 Litres per 100km and comes with a comprehensive 6 year/150 000km warranty; a 3 year/90 000km service plan and 24/7 roadside assistance. Technology: Smart technology can be seen in all modern city cars with technological advancements that keep you connected and safety technology. The Nissan Micra Acenta and Acenta plus includes a 7-inch touch screen with colour display that allows the driver access to music, messages and maps through Apple CarPlay. Connect your iPhone via an Apple lightning cable and make use of Siri voice control, Apple maps which includes turn-by-turn navigation, access to music, telephone services and other apps such as Audiobooks and Spotify. Safety features of the Micra include six airbags, seat belt warnings and adjustment options, Isofix child seats are also standard. There is also the electronic safety system which includes Vehicle Dynamic Control, Anti-Locking Braking System and Hill start Assist. The Nissan Micra sets the bar high with ergonomics such as rake/reach-adjustable steering wheel and lowered front seats, perfect for taller occupants. The fun element: City cars brings the promise of movement for the first-time buyer and the cost should match the target audience, especially when it comes to the price point. Many new buyers are young and require a reliable yet safe and fun car, these are young people that need to get around to achieve their goals. The new Nissan Micra can be personalised extensively with features such as colours that will add to the car’s funky yet classy interior and exterior. The new Nissan Micra has a 66kW, 140Nm turbo-charged petrol engine which delivers absolute driving pleasure, practicality and fuel efficiency. No matter what traffic situation you are in, the super nippy Micra will make the grid-locked traffic a breeze and the long road an absolute pleasure with its levels of performance and comfort. 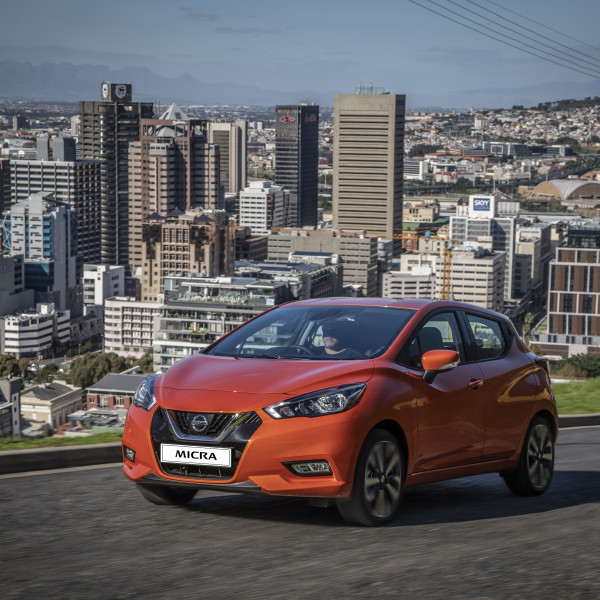 Now that city cars like the Nissan Micra have stepped-up their game, it’s no wonder that they are becoming more popular and taking over the city streets.